Download a fact sheet (pdf, 1.3 MB) about the expedition. 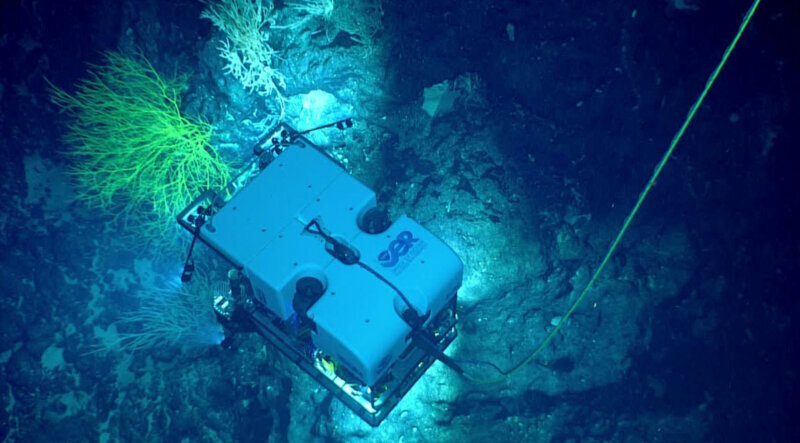 From September 6 to 30, 2017, NOAA and partners will conduct a telepresence-enabled ocean exploration expedition on NOAA Ship Okeanos Explorer to collect critical baseline information about unknown and poorly understood deepwater areas around the Musicians Seamounts and the Hawaiian Islands. 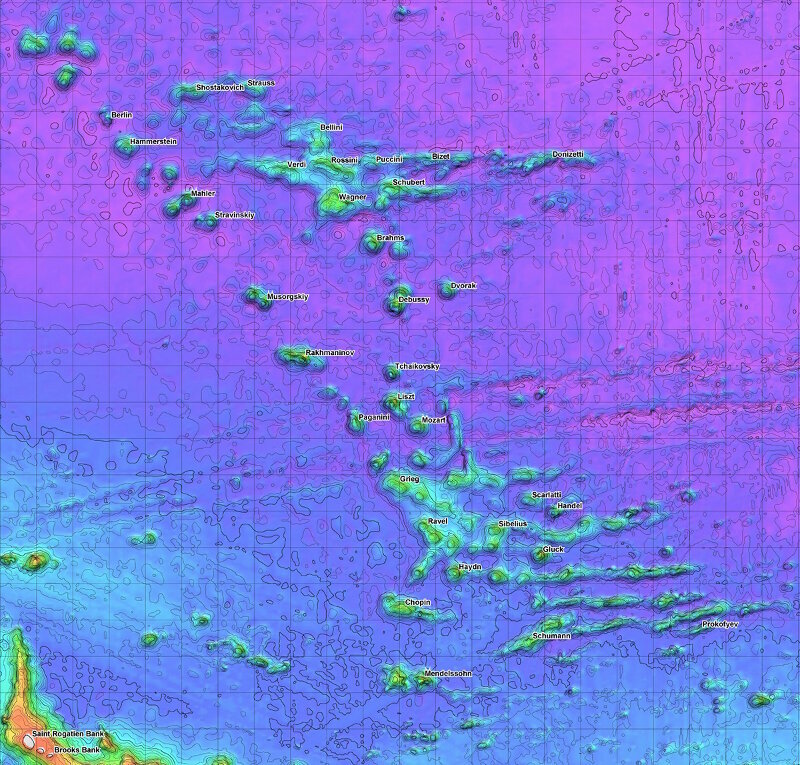 The Musicians Seamounts are a province, or collection, of about 25 underwater mountains in the central Pacific Ocean just north of the main Hawaiian Islands and bordering the eastern boundary of the Papahānaumokuākea Marine National Monument. Since the early days of ocean exploration, scientists have been fascinated with understanding the pattern of species distribution throughout the marine environment. This area of scientific study is known as marine biogeography. 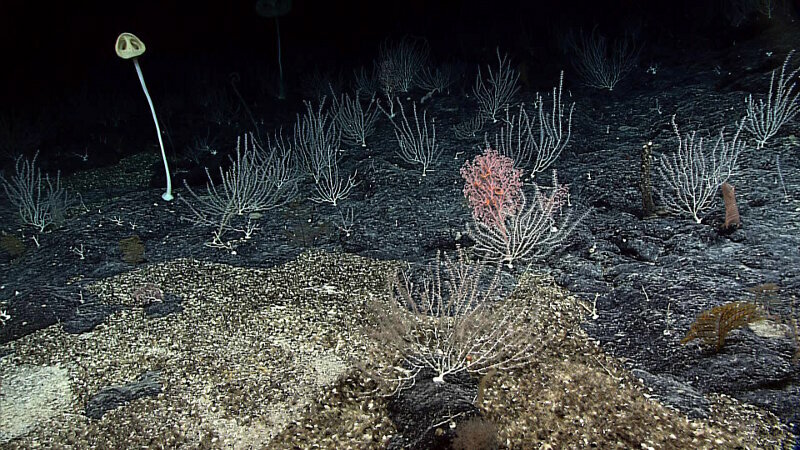 The structure and shape of the Musicians Seamounts, as revealed by mapping from NOAA Ship Okeanos Explorer, will provide clues to the tectonic environment in which the seamounts formed and their relationship to the nearby mid-ocean ridge.